Doug Bruno and Geno Auriemma have been around basketball long enough to understand that relationships can’t be formed overnight. Before facing off against the best team in the country Wednesday at McGrath-Phillips Arena, Bruno said he never once talked about the possibility of even beating Connecticut. Bruno, rather, discussed confidence. To Bruno, he said there hasn’t been this much parity in women’s basketball — UConn aside — during his lifetime. 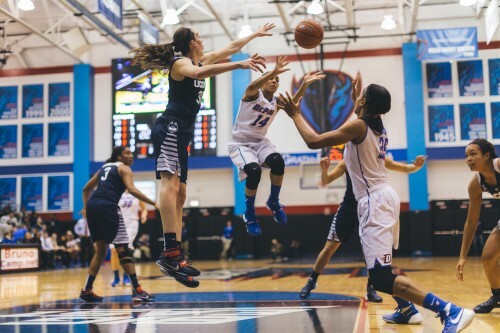 For the DePaul women’s basketball coach in his 30th season, Bruno said the window for the other three spots in the Final Four is wide open. Bruno wanted the relationship between his players and their confidence to be formed. And even in an 86-70 loss to the No. 1 Huskies (5-0), No. 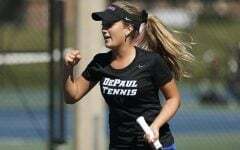 18 DePaul may have taken its first steps in doing so. 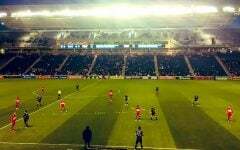 “Tonight was a chance to prove you could be one of the three teams that could fight your way to Indianapolis,” Bruno said. “That was the goal. What happens on the floor score wise, you have to play the way you’re going to play. And I thought our players earned the right to start to become confident. It was confidence that Bruno wanted to see and for the first half, he got it on both sides of the ball. From the opening tip, the Blue Demons (5-2) set the hectic pace that initially appeared to bother UConn. UConn was playing its third game in five nights and had to adjust to DePaul’s full-court pressure. 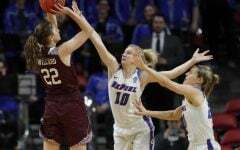 It was almost uncharacteristic for the Huskies, who had won every game this season by at least 30 points. Before Wednesday’s game, UConn’s season-high in turnovers was just 14. By the half’s end, they had 10 and finished with 17. Bruno also disrupted UConn’s rhythm with an unusual substitution pattern, electing to sub all five players at a time. It helped keep his players fresh and each squad answered back with a burst of energy. And the shots fell for the Blue Demons as well. 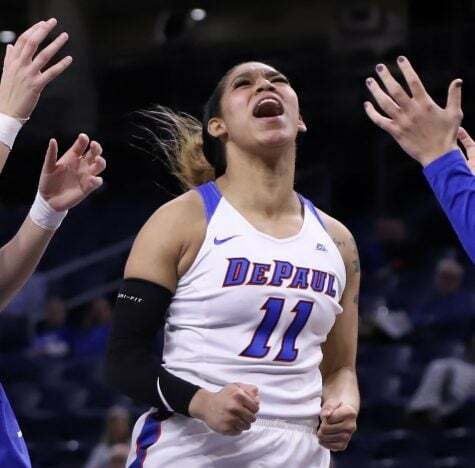 DePaul went into halftime trailing just three, 44-41, but there were moments where the Blue Demons even had the lead in a packed-house. 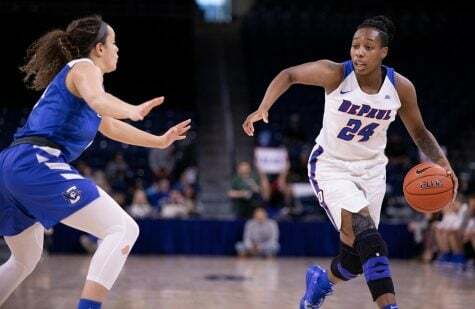 DePaul shot nearly 53 percent (9-of-17) from deep in the first half, with a 3-pointer from guard Chanise Jenkins giving the Blue Demons a 39-37 lead with 4:58 left. 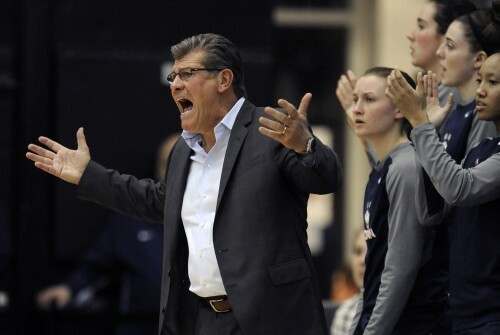 “What happens is that you get caught up in the competitiveness in it,” Auriemma said. “When they come down and make a three, you want to answer with the same thing. If you’re not careful, you end up trying to do the same things they’re doing. But they’re better at it than we are because that’s the way they play. Auriemma’s Huskies heard his advice and answered back as the three-time defending national champions they were. 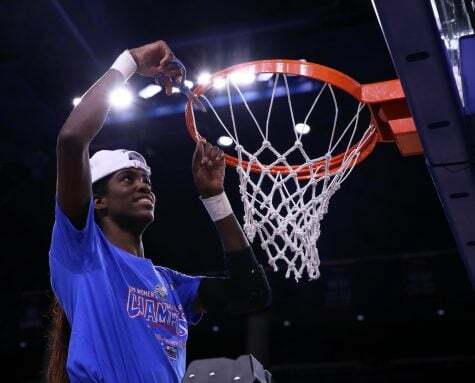 UConn’s answer started with Stewart, who has the chance to become the first ever women’s basketball player to win four national titles. The Huskies slowed down the pace considerably and got the ball inside. Stewart led the game with 29 points and 12 rebounds, 13 of her points coming in the second half. But it was her getting to the free throw line that also made a huge difference. The senior forward went 5-of-6 from the line in the half after going 2-of-2 in the first. UConn established its bigger size much more considerably, out-rebounding DePaul 47-27. 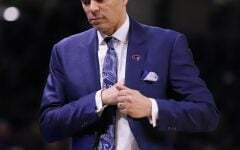 Bruno has preached to his players about controllable moments and the Blue Demons found them when it came to rebounding. But January also said there were possessions that were positive. 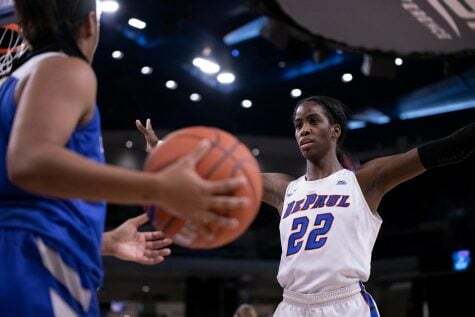 She led DePaul with 18 points, including going 4-of-6 from beyond the arc. 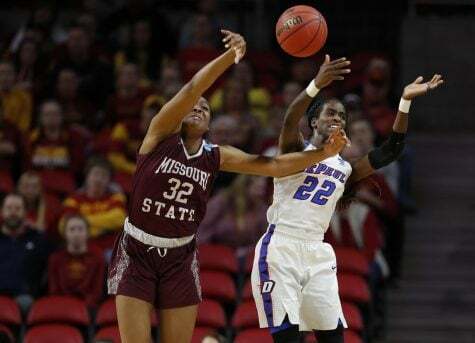 The Blue Demons finished the game shooting 41 percent and 45 percent from deep. 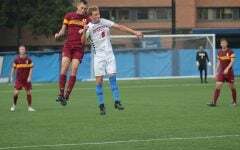 For the 20 minutes in the first half, DePaul pushed a team in a class of its own. 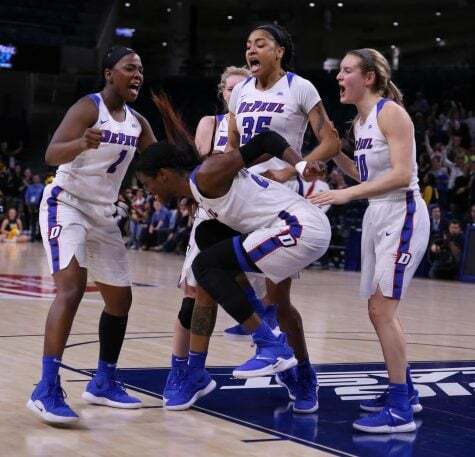 Even in the next 20 minutes when it didn’t go their way, the Blue Demons never really backed down when it came to competing. Competing is an area that Bruno stressed to his players, and Auriemma said he noticed the emotion that the Blue Demons played with. It’s the emotion that Bruno emulates onto his team, and one that could lead to confidence in his group. 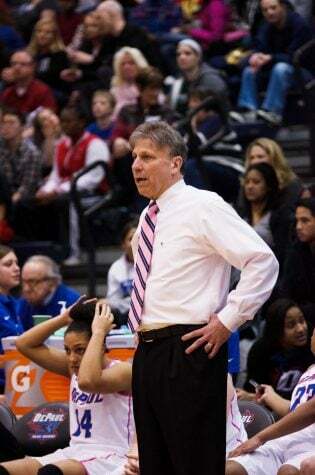 Auriemma has seen the way that Bruno displays that emotion firsthand in the many moments the two have spent together. For international basketball, Bruno is Auriemma’s lead assistant and the two are close friends. “He is just incredibly positive with his team, and always sees the positive,” Auriemma said. “He tells me every year that he’s going to beat us, and then afterwards, he’s tells me we’re going to play twice — here and the Final Four. He said it to me last night. 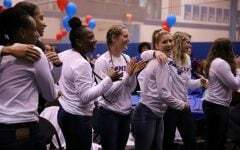 The Blue Demons return Dec. 5 at 7 p.m. when they take on Illinois State at McGrath-Phillips Arena. As a UConn fan since August of 1960, I want to congratulate, the Blue Deamons on playing a truly great game against UConn. I think I now understand why Geno has insisted that Doug Bruno be one of his assistants on the National Team. 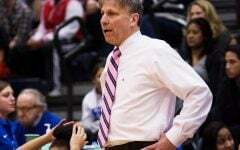 Doug is a really, really good coach and his kids play really hard for him. While I don’t like, but may understand, the media’s short changing another UConn story. There is no excuse for their ignoring DePaul’s. 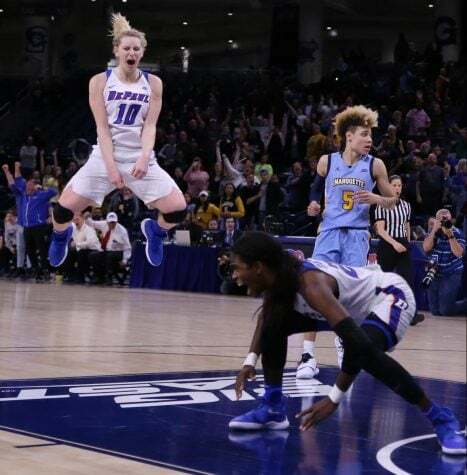 I would not shock me to see the Blue Demons in the final four. Good luck to the rest of your season.